Star Wars™ Jedi Knight: Dark Forces II includes Star Wars™ Jedi Knight: Dark Forces II and Star Wars™ Jedi Knight – Mysteries of the Sith. 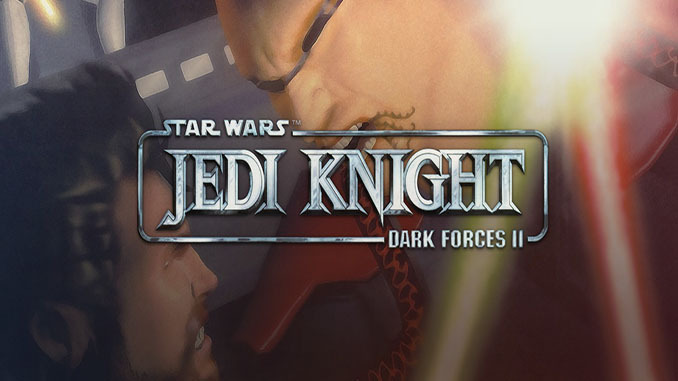 Star Wars™ Jedi Knight: Dark Forces II continues the story of Kyle Katarn, a young mercenary that successfully infiltrated the Empire, as he embarks on a quest to discover his past and learn the ways of the Jedi. 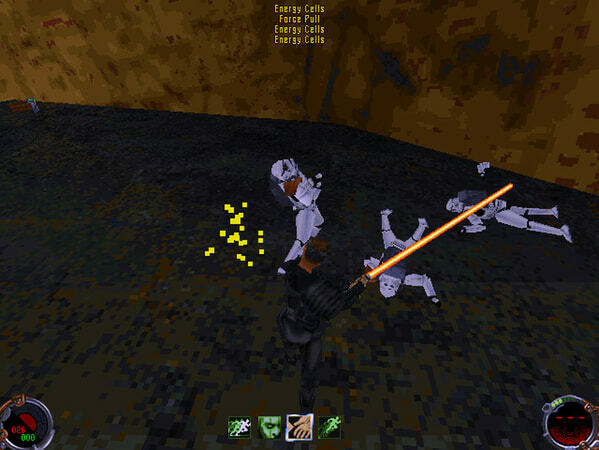 In order to protect the galaxy Katarn must confront his father’s murderers, led by the Dark Jedi Jerec, and stop them from obtaining the mysterious powers of a “Valley of the Jedi”, a focal point for Jedi power and a Jedi burial ground. As Katarn embarks on his journey to defeat the Dark Jedi he must also shape his destiny, by choosing to follow either the light side, or the dark side. 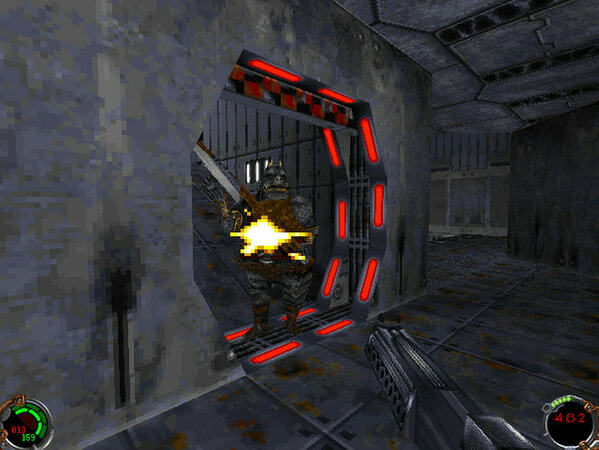 Kyle Katarn’s adventures continue five years after the events in Dark Forces II. Invading Imperial forces advance upon a quiet Rebel outpost, interrupting Kyle’s trianing of a brave new Jedi, Mara Jade. First introduced in Timothy Zahn’s award-winning Star Wars™ novel, Heir to the Empire, Mara Jade combines her experiences as a smuggler and Emperor’s Hand with her apprenticeship as a Jedi Knight. Mara’s training will continue in the field as she makes use of four new weapons and five new Force™ powers to secure supplies for the New Republic. Meanwhile, Kyle pursues what he believes to be his destiny as he searches for secret treasures in an ancient Sith temple. Will you uncover the Mysteries of the Sith? Windows 8 and 10 compatibility notice: Hardware mode is not supported. Star Wars™ Jedi Knight: Dark Forces II continues the story of Kyle Katarn, a young mercenary that successfully infiltrated the Empire, as he embarks on a quest to discover his past and learn the ways of the Jedi. Can you please comment on the game page you are referring. Would you guys be able to get the original Dark Forces? 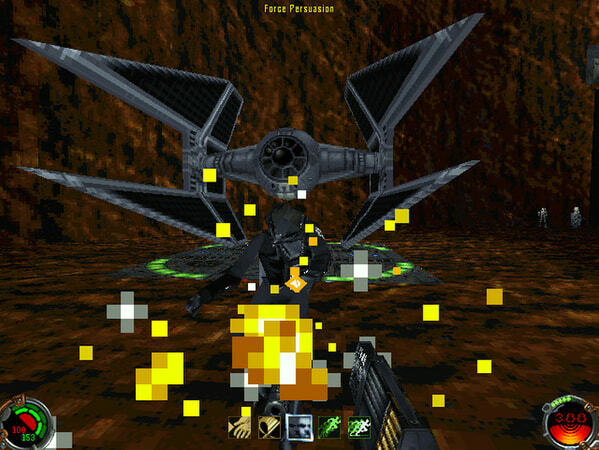 We have posted Star Wars: Dark Forces is that the game you are looking for? Hello guys…. first of all, thank you so much for these posts! Absolutly love these gread old games! I tested it in a PC with windows 7 64bits and 4Gb of RAM and it worked. However, when I installed in my notebook (i7-16Gb RAM) with windows 10 64bits, the cutscenes worked ok, but the gameplay view went black and only the gameplay ambience sound was working. Already tried to chance display configuration in the game menu, but none of that worked. Have you tried running the game on compatibility mode? Also please make sure you have installed all the needed software’s from Microsoft like DirectX, Visual C++ and .Net Framwork on the other system, you can find link on our FAQs page.